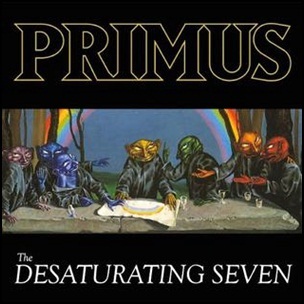 On September 29, 2017, “ATO Records” label released “The Desaturating Seven” the ninth Primus studio album. It was recorded at “Rancho Relaxo” in California, and was produced by Les Claypool. All tracks by Les Claypool. 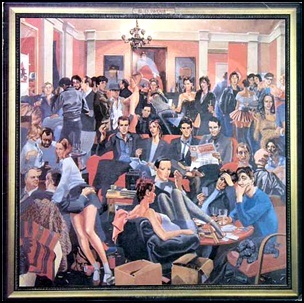 On September 29, 1979, “Virgin” label released “The Crack”, the debut Ruts album. 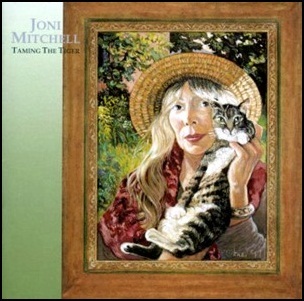 It was recorded in 1979, at “Town House” in London, and was produced by Mick Glossop, Bob Sargeant, Paul Fox, Malcolm Owen, Dave Ruffy and John Jennings. All tracks by Paul Fox, Malcolm Owen, Dave Ruffy and John Jennings except where noted. 1979Babylon’s BurningBackbiterBertieBob SargeantCriminal MindDave Ruffydebut albumDope for GunsGary BarnacleHuman PunkIt Was ColdJah WarJohn "Segs" JenningsJohn H. HowardJohn JenningsLondonLuke TunneyMalcolm OwenMick GlossopOut of OrderPaul FoxPockyRichard MannahRockyS.U.S.Savage CircleSeptember 29Something That I SaidThe CrackThe MarqueeThe RutsTown HouseVirginYou’re Just A. 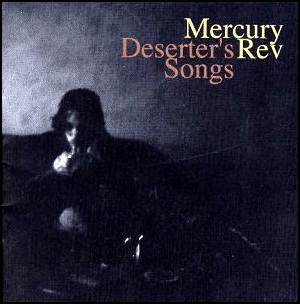 On September 29, 1998, “V2” label released “Deserter’s Songs” the fourth Mercury Rev studio album. It was recorded in 1998, at “Tarbox Road Studios”; “NRS Studios”’ “Six Hours Studios”, and was produced by Dave Fridmann and Jonathan Donahue. In 1998, “NME” magazine named “Deserter’s Songs” album of the year. All lyrics by Jonathan Donahue, except “Hudson Line” by Sean “Grasshopper” Mackowiak, and “Delta Sun Bottleneck Stomp” by Jimy Chambers. All music by Jonathan Donahue and Sean “Grasshopper” Mackowiak. On September 29, 1997, “Hut” label released “Urban Hymns” the third Verve studio album. It was recorded October 1996 – May 1997, at “Olympic Studios” in London, and was produced by The Verve, Chris Potter and Youth. In 1998, “Urban Hymns” won “Best British Album” at the “Brit Awards”. In 2001, “Q” magazine readers ranked the album at number 18 in the vote for the greatest albums of all time, and in 2006, its editors voted it the 16th greatest album of all time.The Verve were awarded with the first ever “Q Classic Album” award for this album at the 2007 “Q Awards”. 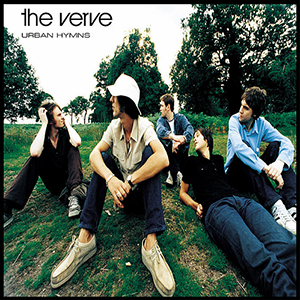 As of 2015, “Urban Hymns” was ranked the 18th best-selling album in UK chart history. 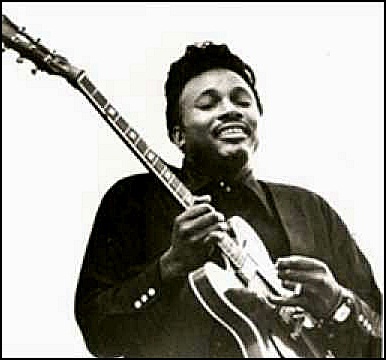 The album features the hit singles “Bitter Sweet Symphony”, “Lucky Man” and “The Drugs Don’t Work”. The critical and commercial success of the album won The Verve, two “Brit Awards” in 1998, including “Best British Group”. The album was certified 3 x Platinum in Australia by “ARIA”; Platinum in Belgium by “BEA”; 2 x Platinum in Canada by “Music Canada”; Platinum in France by “SNEP”; Platinum in Germany by “BVMI”; Platinum in Netherlands by “NVPI”; 5 x Platinum in New Zealand by “RMNZ”; Platinum in Sweden by “GLF”; Platinum iin Switzerland by “IFPI Switzerland”; 10 x Platinum in UK by “BPI”; Platinum in the US by “RIIA”, and 4 x Platinum in Europe by “IFPI”. All tracks by Richard Ashcroft, except where noted.